Country living at its finest. Ranch style home with main floor living nestled on the perfect horse property, with over an acre and a half of private land, you have space to farm, garden and entertain your family and friends. Enjoy the fruits of your labor harvesting from 2 cherry trees, 2 peach trees, a nectarine tree, apricot tree and 6 apple trees, plus ample room to garden your favorite seasonal fruits and vegetables. Never run out of space with abundant storage throughout the home and massive detached garage to fit all your recreational vehicles including an RV. Recently renovated, you'll appreciate the new flooring, paint, roof, and gutters in addition to the new water heater, furnace, AC condenser, and lighting fixtures. With a separate entrance and kitchenette, the basement serves as a great mother-in-law apartment. Other features include: fire pit, convection double ovens, central vac, and home audio system in your master bedroom, family room, kitchen, and patio. Bright and open contemporary rambler situated on a half acre in a quiet cul-de-sac. This state-of-the-art smart home is fully equipped with a control4 system that enables you to wirelessly control the interior & exterior lighting, home audio system, exterior security cameras, and automatic roller shades. You'll love coming home to this beautifully designed kitchen featuring custom white cabinets, quartz countertops, and subway tiled backsplash. Vaulted ceilings help contribute to the light and open aesthetic of the home. You'll love the spacious and fully fenced backyard where you can enjoy the sports court, putting green, hot tub, built-in BBQ, patio and playset. Plenty of room for cars and toys with an oversized 3 car garage and RV pad. Located in Alpine's highly sought-after East Bench with stunning mountain and valley views, this beautiful 5 bedroom and 5 bathroom ranch style home provides you with privacy, comfort, and sophistication. With stone and brick construction, a tile roof, solid wood doors and wood aluminum clad casement windows, every detail was carefully selected and crafted to ensure a well-built, solid, and secure home. The attention to detail doesn't end there. Coffered and wood beamed ceilings line the main living areas, custom wood built-ins run throughout the home, 5 fireplaces will keep you cozy throughout the winter months and finish carpentry ties everything together. You'll love the convenience of your main floor master bedroom connected to a private office, which includes a large soaking tub, steam shower, walk-in closet and makeup vanity. An entertainer's dream; the basement has a theater with stadium seating and a game room, plus a kitchenette and a separate entrance for extended guests or in-laws. Other features include a Fort Knox walk-in safe, 9 ft ceilings, sauna, steam shower, and 3 car over-sized garage with 10 ft wide doors and built-in cabinetry. The main floor also boasts plenty of entertainment space from the formal living and dining rooms to an open great room. Gourmet kitchen boasts ample cabinet and countertop space w/ separate butler pantry and 2 subzero refrigerators. Step outside into your beautifully landscaped and fully fenced yard to enjoy your large covered patio plus two open patios perfect for parties, family events, and cool summer nights. Direct access to the Redford Run Trail and Lambert Park. Magnificent Tuscan style estate in Utah County. This home was thoughtfully planned out and placed perfectly to take full advantage of the 1.12-acre lot perched on a private bluff with unobstructed mountain and valley views just above Riverside Country Club and the Provo Riverbottoms. The floor plan was designed to capture the incredible views of the Wasatch Front from every angle of the home, while managing to maintain its exclusive privacy. The backyard has plenty of entertainment options with an over-sized hot tub, fire-pit, playground, pergola, waterfall, gardens, fruit trees and covered patios. With nearly 5,400 ground level square feet that features a solitary master wing and a mother-in-law apartment with its own kitchen, laundry, and entrance this home has plenty of main level living to keep you and your guests comfortable. Other features include a theater, game room, 3rd kitchen, walk-out basement, geothermal heating system, humidifier, elevator shaft, heated bathroom floors and home security cameras throughout. Call to schedule a private tour today! Come see this incredible 1-acre Hamptons style estate perched on Provo's East bench, right at the foot of Y Mountain! 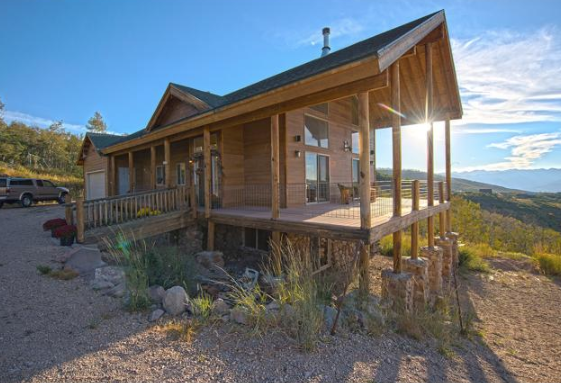 Enjoy seclusion completely surrounded by amazing mountain & valley views with direct access to the Bonneville Shoreline Trail. Beautiful interior features throughout including hardwood floors, plantation shutters, custom millwork, vaulted ceilings, and oversized windows that offer not only an abundance of natural light but unobstructed lake & valley views. Relish in your master suite complete with a large soaking tub, laundry, and private balcony. Large walk-out basement with a mother-in-law apartment complete with separate laundry and full kitchen. Massive back deck with jaw-dropping views. 4 Car garage. Don't miss the opportunity to live in one of the most sought-after neighborhoods in Alpine, Utah! Home offers nearly 1.5 acres of lush landscaping resting on a quiet culdesac at the base of Lone Peak. 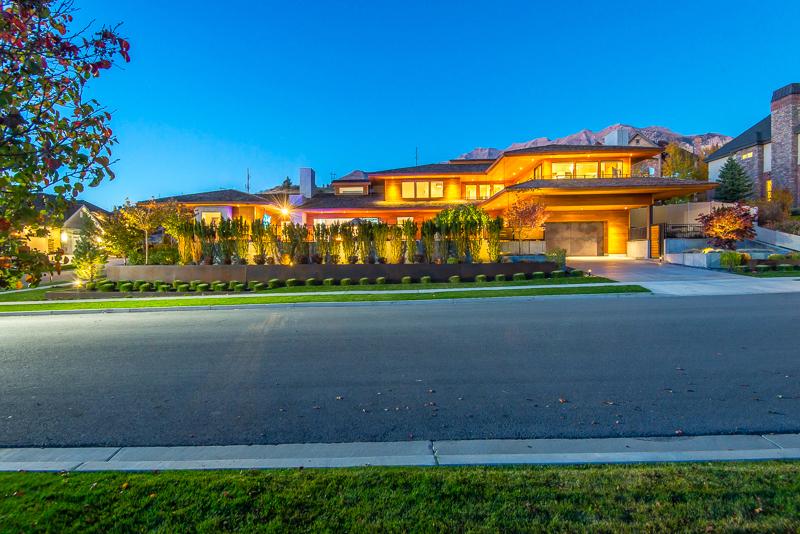 Relish in the drive home every day with tree-lined streets, breathtaking panoramic mountain views, and a paver circular driveway that leads to an impressive 8-car oversized garage that also stores an industrial grade backup generator. The kitchen completes every Culinary artist's dream with both a commercial grade Wolf 48" gas cooktop AND a 48" full griddle, Wolf double ovens, side-by-side 36" subzero fridge & freezer, 2 oversized islands, butler pantry, and a bake station. Noteworthy interior details featuring wide-plank hardwood floors, exposed wood beams, hand-crafted wainscotting, radiant heat floors on all 3 levels, and 4 fireplaces. You'll appreciate the convenience of having the master suite just off the main floor with his and her walk-in closets which accompanies a walk-out to your own private patio and hot tub. This home was built to entertain; boasting 3 spacious family rooms, 5 outdoor patios, and a mother- in-law apartment complete with elevator access. The elevator will also take you underground to a colossal storage room with built-in shelving that has enough room for years of supplies. Storage also has 10 state-of-the-art auto circulating water tanks allowing you to store over 1,000 gallons of fresh water. Your loved ones will enjoy the endless outdoor entertainment this home offers; whether it's soaking in the second hot tub, roasting marshmallows by the firepit, jumping on the in-ground trampoline or lounging on the patio during a summer BBQ. Call to schedule a personal tour today! Masterfully designed custom home in the highly sought-after, tree-lined, gated neighborhood of Orchard Place. This one-of-a- kind property sits on just under 1 acre of luxuriant wooded landscaping including two man-made water features and a natural stoned-lined creek cascading through the trees. You will be overwhelmed by the exceptional features of this home including a suspended spiral staircase, billiards/game room, home gym, massive heated workshop complete w/ 220V power, sink, floor drain and roughed-in underground air & dust collection system, 2 steam showers, 2 jetted tubs, solid wood doors, nearly 50 speakers hardwired throughout, laundry on all 3 levels, and a walk-in Fort Knox gun vault with built-in cabinets. Original owners have taken great care of this home and you'll truly appreciate the fine details in the woodwork, including the professional home office with a saltwater fish tank, flooring milled from a train boxcar, rough-sawn cherry cabinets, wainscot molding, rustic beams and sconces made from Tibetan singing bowls. The home theater will make you feel like you've stepped into the real cinema with custom wood accents, hand painted stamped ceiling and tapestry wall treatments. Your friends and family will find endless entertainment in the backyard whether it's playing a game on the sports court w/ double basketball standards, swinging on the playground, jumping on the in-ground trampoline, having a BBQ in the commercial grade outdoor kitchen, roasting marshmallows by the stone firepit, or relaxing with a book under the gazebo or on the private sandy beach alongside the cascading stream. Utilities are roughed-in for a pool and detached garage. Recently updated design by one of Utah's finest designers, Studio McGee, and featured in numerous magazines including Architectural Digest, Utah Style & Design, Good Housekeeping and featured in Style Me Pretty Living as a 2016 dream-home, this home is packed with wall-to-wall elegance, sophistication and most importantly...comfort. Be surrounded by breath-taking views of the Wasatch Mountains in a quiet cul-de-sac and enjoy the privacy you've been looking for. Features include Calacatta gold marble countertops and backsplash, stainless steel appliances with a Jenn-Air double oven & gas cooktop. Immaculate craftsman details run through this bright and open home including new hardwood floors, coffered ceilings, 2 laundry rooms, automatic window coverings, alarm system w/ video surveillance and Google Fiber. You'll love relaxing on your private deck outside the master suite with breathtaking views overlooking the entire valley. Your family and friends will easily be entertained; whether it's watching a movie in the theater, playing in the custom built-in kids fort, roasting smores over the gas fire pit, competing in a game of basketball or a challenge on the putting green. This stunning home truly offers something for everyone. This luxurious west facing Berkshire Estate backs the prestigious Riverside Country Club. Perfectly placed on 1.47 fully landscaped acres w/ unobstructed views of the majestic Wasatch Mountains. Features an oversized 4 car garage with an electric car charging station and a circular pull-through driveway. Spacious open floor plan w/ tall ceilings, large grand entry, great room, formal dining, main floor mother-in-law suite, and stately home office/library. Gourmet kitchen w/ professional grade appliances and huge walk-in butler pantry. Kitchen and family room open up to a large paver patio with built-in bbq, perfect for entertaining. Main level Master suite complete w/ fireplace, sauna, massive walk-in closet, private patio, sitting room and exercise room. Basement includes state-of-the-art theater w/ stadium seating, 2nd full kitchen, family room, game room, recreation room, playroom, and large exercise room. Upstairs features a large bonus/craft room, loft, 2nd laundry room and private balcony. 6 Jr Suites with en-suite bathrooms and 4 fireplaces. Other features include a Venmar Supra air exchange system throughout the home, mechanical blinds, indoor and outdoor speaker systems, raised garden beds, gas firepit and a bocce ball court in the backyard. Gated Community. I come home every day happy about my purchase and purchase price because of having used Woodley. It was apparent that our overall satisfaction and happiness were very important to them. Thanks, Woodley! We appreciate you answering all of our questions, giving us great advice and treating our money as your own. We would (and will) recommend Woodley Real Estate to anyone. The best agency I have ever worked with. I have closed on hundreds of homes and nobody has come close to the service of Woodley Real Estate. Their communication is excellent, and they did an incredible job of taking care of our needs. They always under promised and over delivered! I will for sure use them from now on! Loved my experience with Woodley. They are extremely knowledgeable and savvy. They know the market and know how to sell/buy homes. They give sound advice and really go above and beyond to make sure their clients understand their options. They come prepared to every meeting and do an incredible job managing client relationships. You can tell they have been successful in this business for a long time and run an efficient and professional team. These guys are the best at what they do; would recommend to everyone! We are very impressed with Woodley Real Estate. They have helped us on several occasions as we’ve bought and sold homes. They treated us courteously and served us willingly. We could always get a response from them no matter what time of day it was. We loved turning all the stressful details over to them and trusting them to do what was best for us. Everything was accomplished with friendliness and professionalism and went very quickly! We would like to use their services in any future endeavors we may take in the real estate world. Woodley made the process extremely simple and hassle-free. I had used other Realtors before and this was my most enjoyable experience to date. Would never use anyone else in the future. Woodley did a fantastic job of representing us. The Woodley team was responsive, on time, and very professional. I highly recommend them to represent a seller or a buyer. Couldn’t say enough good things about the Woodley Real Estate Team. Located in in the exclusive Berkshires; a private gated community, this 8,000 SF (ALL above grade) home is packed with wall-to-wall elegance, sophistication and most importantly...comfort. From the copper farm sink to the large Wolf gas range, the gourmet kitchen is built to entertain and impress. The attention to detail is evident throughout this immaculate home. 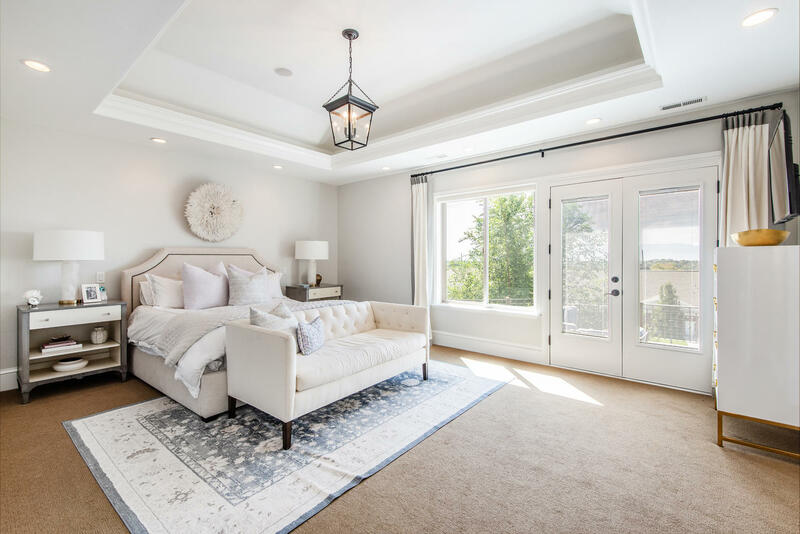 Featuring a wide-open master suite complete with a stunning master bathroom, 6 large bedrooms all with contiguous bathrooms, in-home theater and lots of open spaces to unwind and relax throughout the home. The backyard features a spectacular pool boasting stunning side-water fountains, outdoor living area, and accompanying pool house- complete with a full kitchen, bathroom and laundry. Best of all; the home is powered directly from the sun using a state-of-the-art solar system that produces over 22 kilowatts of energy. From elegance and sophistication to comfort and fun, this home has something for everyone to enjoy and the surroundings are unmatched as the home is ideally located next to the beautiful Riverside Country Club and right down the road from mountainous adventures including world renowned ski resorts and the shops at Riverwoods. Gorgeous craftsman style 4-bedroom, 2.5 bathroom home in the family-friendly Parkside Estates neighborhood. Your family and friends will love this spacious 3,551 square foot home with vaulted ceilings, white kitchen, crown molding, and a cozy fireplace. Enjoy sitting on the front porch with an incredible view of the Wasatch Front and Utah Lake or hang out mountain-side under the pergola covered patio or roast marshmallows by the firepit in your own secluded backyard- this home is truly the perfect gathering place to host and entertain! Utah Lake and Talons Cove Golf Club just down the street. Don't miss this contemporary style home in the highly desired Traverse Mountain neighborhood! Bright and open with modern accents throughout, this 4 bed 2 bath home has comfort and style wrapped into the perfect home. Including eye-catching archways, large bedrooms, and a luxurious master suite, this home is truly top of the line. In addition, you will have access to unbeatable amenities with a brand new clubhouse, pool, exercise room, and playgrounds, just minutes away! The perfect property close to I-15, the restaurants & shops at Traverse Mountain and the rapidly growing tech companies of Silicon Slopes. Brand new custom home! This home has 5 beds, 3-1/2 baths, large master w/ separate. shower and tub, walk-in closet, beautiful kitchen with Kitchen aid appliances, covered patio, 4 car garage (extra long), all on a 1/3 acre lot. The basement is finished with lots of storage. Rare Opportunity to purchase a beautiful home in one of the most desirable areas in Holladay. Located on a quiet street, this mid-Century modern is done right. Large master suite and bathroom, Indoor/outdoor living, tons of windows and natural light, beautiful tile and hardwood. Completely remodeled in 2013. come and see for yourself. Square footage figures are provided as a courtesy estimate only and were obtained from listing info. Come home to a beautifully fully finished home with amazing views of the mountains and Blackridge Reservoir. Enjoy the Spring sunsets on your own back covered patio while enjoying the warmth of your own gas firepit. Oversized 3-car garage fully finished with tons of storage space. Gourmet kitchen, main floor master bedroom,5 additional bedrooms, 4.5 baths, basement kitchenette, theater room, utility room, and a walkout basement are just a few of the features this home has. Beautifully remodeled home in the heart of Milcreek. Corner lot that backs up to Canyon Rim Park. This home was extensively remodeled in 2009 and had multiple additions made. New roof, windows, blinds, doors, kitchen cabinets, countertops, appliances, flooring, (included heated floors), furnace, air conditioning, speaker systems, etc. Great house in an awesome neighborhood. Million dollar views await you from a sea of oversized windows and sliding doors, creating the ultimate “outside in” resort experience. Live year round in the largest year-round mountain living resort community in the Timber Lakes subdivision of Heber, Utah. Or, just get away from it all on the weekends. This one of a kind lot that has it all! Size, seclusion, meandering river with swim/fish hole, large trees, and views of Timp! Located in the heart of Midway, yet very private and secluded. This new construction mountain contemporary estate was designed with the outdoors in mind to capitalize on the panoramic views of Park City's three world-class ski resorts. The vaulted ceiling, oversized windows & la cantina sliding wall facilitate the ultimate in peaceful mountain relaxation. People are drawn to Jeremy Ranch for homes that offer unique curb appeal, mountain views, quiet streets, and oversized lots that border the golf course. However, it is not often that a home becomes available that features every one of these traits, and it is even less often that we can present a house that has been as well cared for as this. A touch under three quarters of an acre, this rambler is the very picture of what makes Jeremy Ranch so special. Beautiful Somerset Estates New Construction-Just completed. High End finishes, custom built in's, High end kitchen for the Gourmet Chef! 2 Large Bedrooms with private bathrooms upstairs, with center Loft area. Elegant Master Suite on Main Floor with Huge private bath retreat! Basement features a huge Family Room with Surround sound and Second Kitchen, and 2 large bedrooms with Full Bath. Close to two major Trail Heads and a stone through from Forest Service Property. This one-of-a-kind artistic contemporary home is perfectly nestled on a 2.19 acre private lot on a dead-end road with Dry Creek running right behind the property, and a mature wooded yard that can't be beat. Located just three miles from I-15 on State Road 92, the secluded Bull River Estates is the last oasis of rural living in the increasingly urban Utah Valley. Every home sits on at least two acres of property in the 118 acre development. Families, animal lovers, naturalists and individuals that still enjoy looking at the evening stars will appreciate the protective covenants that limit street lights, formal yards and encourage walking paths, indigenous landscaping and neighbors that celebrate floating homemade boats down Dry Creek during the annual Bull River Regatta. Don't miss this spacious brick rambler nestled in the highly desired Brookwood Estates Neighborhood. The home is fully landscaped featuring mature trees and an inviting lawn. As you walk inside you'll find the perfect combination of style and elegance and will quickly notice that no detail has been overlooked. Elegant custom woodwork and finishes adorn the entire home. Beautiful hardwood floors, white cabinets and granite counter tops accent the bright and light kitchen. The Dining area features a large bay window overlooking the beautiful backyard where you'll find a joyful playset and stunning pergola over the finished back patio. The master bedroom includes a walk-in closet and spacious master bathroom with separate shower and jetted tub. This home has plenty of room for entertaining including the open basement and entertainment area. There is so much to love about this trendy Salt Lake City condo! It offers a central location to all Salt Lake has to offer while providing extra security in a prominent gated community. Completely updated with hardwood floors, stainless steel appliances, and subway tile you will admire all the detail put into making this cozy condo a spectacular space. In addition to the 2 bedroom / 1 bath condo, you will have access to multiple amenities, including a pool and exercise room. Immaculately kept all brick rambler backing the Alpine Country Club golf course in one of Highland's most sought after neighborhoods! Located just minutes from the mouth of American Fork Canyon, and the Lone Peak Shopping Center- you won't have to travel far for dining, shopping or an adventure in Utah's majestic mountains. From the wide open floor plan to the hardwood floors, this house captures everything you'd want in your next home including vaulted ceilings, a large walk-out basement, spacious backyard and stunning views. Laminate flooring; New Appliances (including refrigerators and dishwasher in upper unit); Metal roof; Separate forced air gas furnaces and Central air conditioning in BOTH units; double pane white vinyl windows. Separate Washer/Dryer hookups in each unit. Plenty of parking and ample storage space with a large shed in the backyard and a storage room in the basement unit. Located in the highly desired TRIPLE CROWN subdivision of Mapleton, this 1.11 acre lot has everything you're looking for! Surrounded by beautiful custom homes and breath-taking mountain views, you will enjoy the small town feel without giving up convenience and luxury. Recently updated with granite countertops, white kitchen cabinets and a large master suite w/ walk-in closet. Unit sits on the first floor providing easy, hassle-free access and is in immaculate condition! Amenities also include free google fiber internet, cable tv, pool, hot tub, gym, clubhouse and covered parking. Don't miss this highly desired condo sitting on Provo's east bench at the base of the Wasatch mountains. Ready to owner occupy or easy to rent out as an investment property. Great location just North of center street and East of I-15. 3 Over-Under Duplex's all on one parcel built in 1990. There are 13 off street parking stalls. Separate gas and electric meters for each unit. Don't miss this charming brick rambler tucked away in a quiet Murray neighborhood. Home has great updates including new carpet, paint, doors, bathroom flooring and bathroom vanities. The large basement and huge backyard deck provide ample room to etertain. Home is walking distance to the nearby school and park. It is also conveniently located near the freeway for a quick commute. The oversized 2-car garage with workshop provide plenty of space to work on your projects and store all your toys. This home is perfectly situated at the mouth of Corner Canyon nestled in a quiet cul-de-sac. Direct access to miles and miles of hiking and mountain biking trails. Top-notch Canyons school district. The home is fully finished and features vaulted ceilings, plantation shutters, and hardwood floors. Master suite is complete with a private reading nook, fireplace, jetted tub and a massive walk-in closet. This is a rare opportunity to own a 1.38 acre East Bench Alpine lot in a premier location with lake, mountain, and valley views. The lot features 17.13 acres of common area, surrounded by 360 degree views. The surrounding custom homes are separated by acres of land, making the lots very private. You're going to fall in love with this contemporary style home in the amazing Canyon Hills neighborhood! Bright and open with modern accents throughout, this parade quality house has comfort and style wrapped into the perfect home. 2 Story great room w/ automatic roller shades; plantation shutters; office; modern kitchen w/ full-height white cabinets, subway tile backsplash, oversized walk-in pantry, stainless steel appliances and a gas range; mudroom w/ built-in bench and cubbies, and a huge master suite w/ tray vault, separate tub and shower, dual vanities and large walk-in closet. 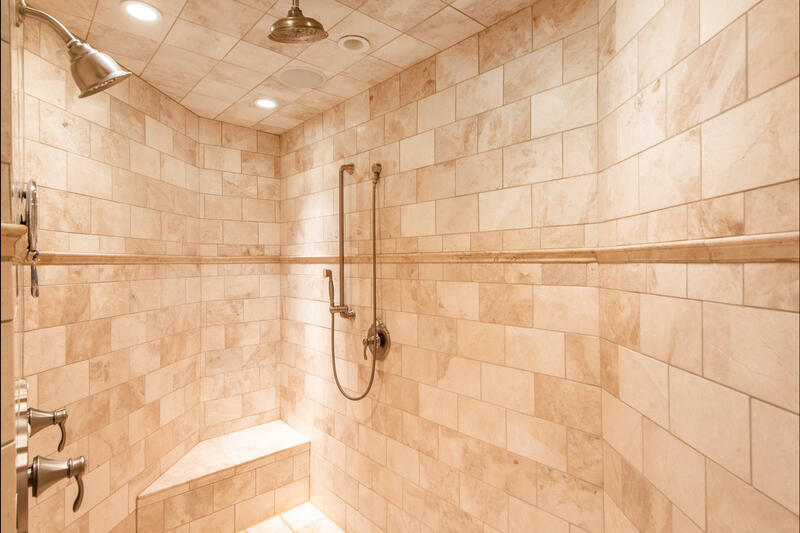 Before even stepping into the front door, you'll know why it won Peoples choice award in the Utah Valley Parade of Homes! Smart design coupled with an incredible location, make this Ezra Lee designed home a hidden gem nestled right at the mouth of Provo Canyon surrounded by impeccable views of Mt. Timpanogos and the Wasatch Front. Stunning modern kitchen features state-of-the-art appliances: two side-by-side Wolf Ovens, which are coupled with a 60" six gas burner range w/ full griddle and range hood, two Subzero side-by-side fridge/freezer combos, large walk-in pantry, Scotsman Ice Maker and two Asko dishwashers. The expansive open kitchen/dining area is just the right space for entertaining. This unique Timpanogos Estate designed by Lloyd Architects and Anne Barton Marie Design is the perfect mix of classic architecture and modern design. Perfectly placed on 1.3 acres of green open grounds designed by Golden landscaping and surrounded entirely by a private golf course with stunning views of Mt. Timpanogos. Located within minutes of Provo Canyon and Sundance Ski Resort. Secluded private road welcomes you to a large circular pull through driveway and oversized 7 car garage. Backyard features stunning perimeter overflow, PebbleTech pool and adjacent hot tub, double in-ground trampolines, turf playground area and pickle ball/basketball court. Complete privacy! See this incredible mid-century designed home nestled in the middle of 2.13 acres of beautifully landscaped terrain with mature trees throughout. Don't ever worry about nosey neighbors again. The private tree-lined driveway provides a true estate feel. Featuring 7,000 square feet (all above grade) with a first-floor guest suite/pool house that opens right out to the secluded pool and hot tub. The guesthouse has its own kitchen, laundry room, bathroom and separate entrance. We've got you covered. Whether you are an individual looking to relocate to our great state or a company looking for a partner to help with employee relocation; our team is the industry leader. Take advantage of a complimentary area tour with one of our expert agents. We go the extra step to make sure you have the information necessary regarding local neighborhoods, schools, attractions, amenities, local businesses, entertainment, commuting routes, and local resources to make an educated home buying decision.